Eldercare is becoming more about caring for those with dementia. Because our fastest growing segment of the population are those 85 and older, it correlates with the rise in people living with dementia. In fact, one in three people age 85 and older are living with some level of dementia. There are over 1 million Americans living with Parkinson’s Disease and over 10 million worldwide. This number is also rising with the increase in longevity. According to the Alzheimer’s Association, Parkinson’s disease dementia is a decline in thinking and reasoning that develops in many people living with Parkinson’s at least a year after diagnosis. The brain changes caused by Parkinson’s disease begin in a region that plays a key role in movement, leading to early symptoms that include tremors and shakiness, muscle stiffness, a shuffling step, stooped posture, difficulty initiating movement and lack of facial expression. As brain changes caused by Parkinson’s gradually spread, they often begin to affect mental functions, including memory and the ability to pay attention, make sound judgments and plan the steps needed to complete a task. About half of people living with Parkinson’s Disease have dementia. Commonly reported symptoms include changes in memory, concentration, and judgment; trouble interpreting visual information; muffled speech; visual hallucinations; delusions, especially paranoid ideas; depression, irritability and anxiety; and sleep disturbances, including excessive daytime drowsiness and rapid eye movement (REM) sleep disorder. Because Parkinson’s is such a highly complex disease, caregivers may often find that dealing with dementia symptoms are even more complex due to many other neurological effects of the disease. It’s important that caregivers pay attention to declines in cognitive condition with their loved ones. Noting behaviors and addressing these with their healthcare professional may help in determining if drug alterations may alleviate some of the dementia symptoms. 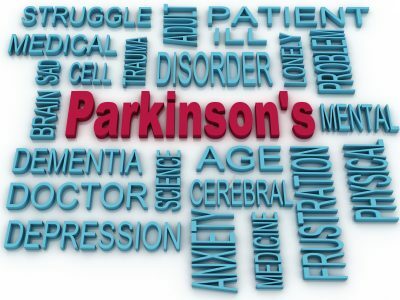 Care Partners for those living with Parkinson’s face many challenges due to the nature of the disease itself. When cognitive decline becomes part of the mix, it can lead to extreme stress and anxiety. Seeking education, support and resources are critical for care partners, as early as possible, is critical for families especially the primary caregiver. Here are some resources that may help caregivers get started in learning more about dementia and Parkinson’s Disease. I encourage finding local support groups to attend as these are often valuable in connecting with others, learning new tools to cope and understanding local resources. Pam Brandon is President/Founder of AGE-u-cate Training Institute and passionate advocate for older adults and those who care for them. She is a 10-year care partner for her mother who lived with Parkinson’s Disease and has devoted many years to helping families live well with PD.